The Akashi Kaikyo Suspension Bridge is the longest suspension bridge in the world and is a spectacular visual delight. It apparently took 2 million workers 10 years to construct the bridge, 181,000 tons of steel and 1.4 million cubic meters of concrete. 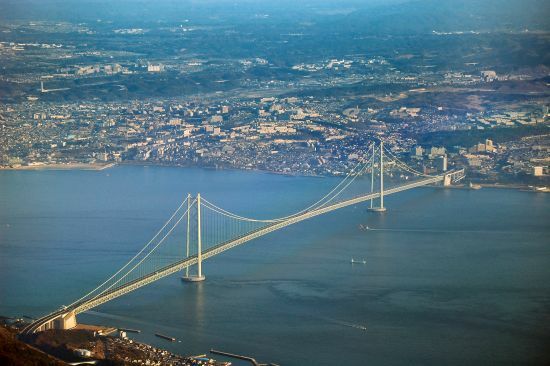 The four-mile bridge links the island of Awaji and the mainland city of Kobe. This is probably one man-made marvel that even the Japanese are proud about and look at in awe! 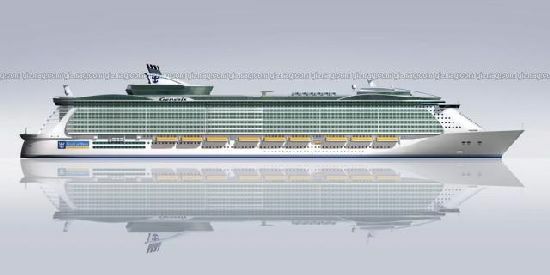 When finished in 2009, Royal Caribbean's Project Genesis luxury cruise ship will be the largest cruise ship the world has ever known. This modern-day luxury-on-ocean will end up costing a cool $1.24 billion to make. 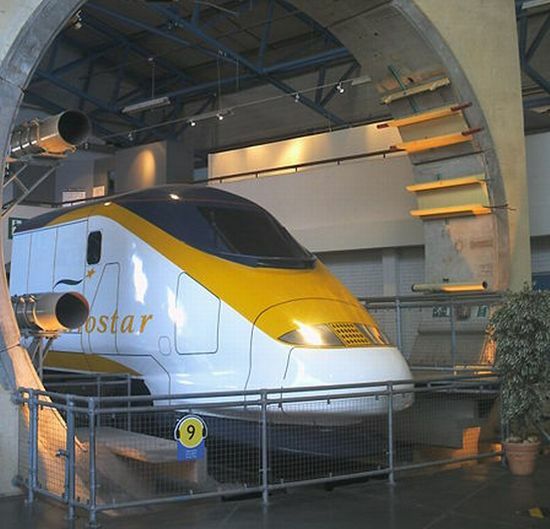 It will measure 1,180 feet long and carry 5,400 passengers. When ready, the ship would have a central park, luxury hotels, restaurants, public spaces, picnic spots and bars. Yes, it is like a little city of its own! Lake Mead is one of my own personal favorites not just because it is such a spectacular human creation among nature’s brilliant creations, but it also brings in the aura of the Hoover Dam into the list. When it was completed, the Hoover Dam was the largest concrete structure in the world, and also the largest power-producing entity. 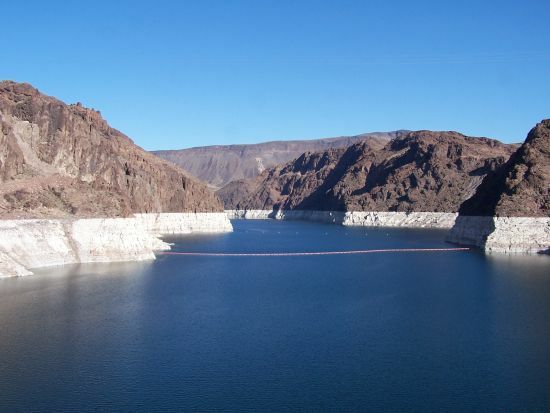 With time all that might have gone, but the artificial lake it creates among the gorgeous Grand Canyons—Lake Mead—is still the world’s largest man-made reservoir. Simply spectacular! These big giant wheels that go round and round giving you a spectacular view of the city are so cool, and the one in London is obviously pretty famous. But there is plenty of hard work and engineering skill behind the apparent simplicity. 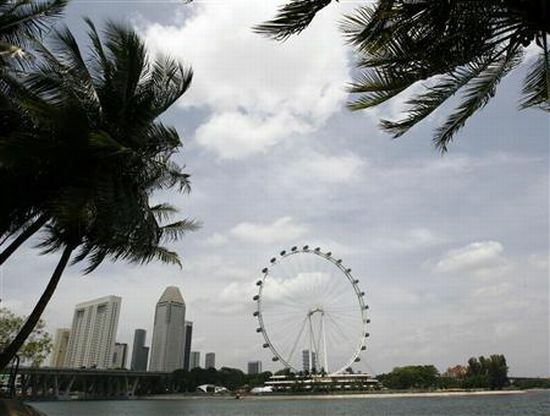 The Singapore Flyer is the world’s largest Ferris wheel and reaches 42 stories high, it comprises of a 150-metre high wheel built over a three-story terminal building, thus giving it a total height of 165 meters. It not only gives you a view of Singapore in totality but parts of Malaysia and Indonesia as well... Awesome! There is something about bridges that we just cannot get enough of. It is just the scientific knowledge and the engineering skill involved in building them that makes them stand out as technical pieces of art. The Hangzhou Bay Bridge is the longest road bridge in the world and another Chinese marvel that made it to our list. 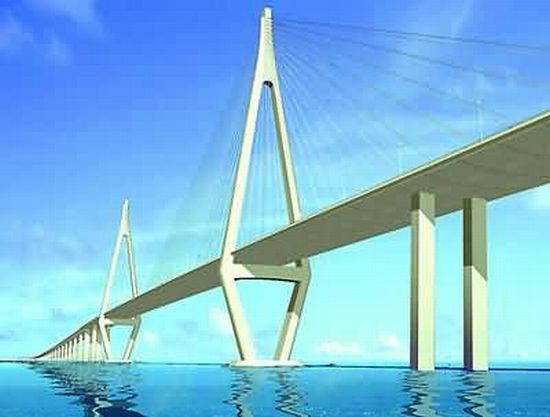 The £840 million Bridge, measuring 36km, spans Hangzhou Bay to link China’s financial hub and the port city of Ningbo to the south. The fact that it is anchored in waters that are 60 meters deep in places and yet is so solid and spectacular makes it a feat of accomplishment indeed! 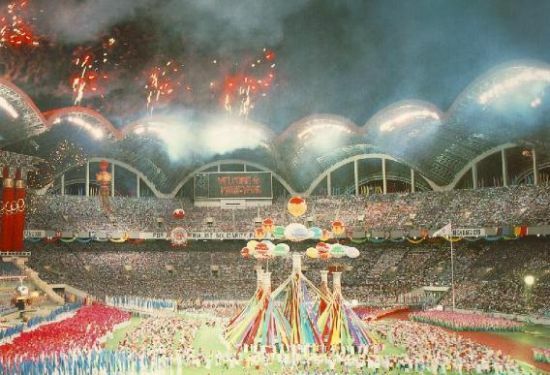 Located in Pyongyang, North Korea, the May Day stadium is the largest in the world and has seen some pretty big crowds. The May Day stadium has 150,000 seats and a total floor space of more than 207,000 square meters. The inner stadium floor area covers 25,000 square meters, including 14,000 square meters of which its athletic field is artificially made and 8,300 square meters of lawn. Vertical axis of stadium is 450 meters and horizontal axis 350 meters. Those are just a few numbers from this humongous stage for sporting extravaganza! After taking a trip across the planet in search of the mind-boggling modern technological wonders, it is better everyone takes a cool dip on our final spot, and that is exactly why we reserved this one final spot for San Alfonso Del Mar in Chile. This amazing resort in the beautiful South American country sports the world’s largest swimming pool, and when I say large, I mean it. 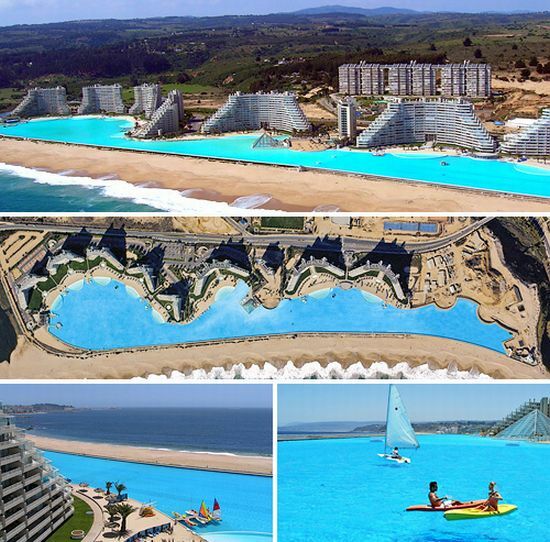 The San Alfonso pool is 1km in length and contains an incredible 250,000 cubic meters of water. The technology used to create the crystal clear water that is transparent to a depth of 35 meters is the real technological aspect of this pool, and an exclusive secret for now. The pool, spread over 8 hectares, is surely good enough for all those who came along on this fabulous journey! It is not often that science and religion get along well, and that makes the MareNostrum all the more special. 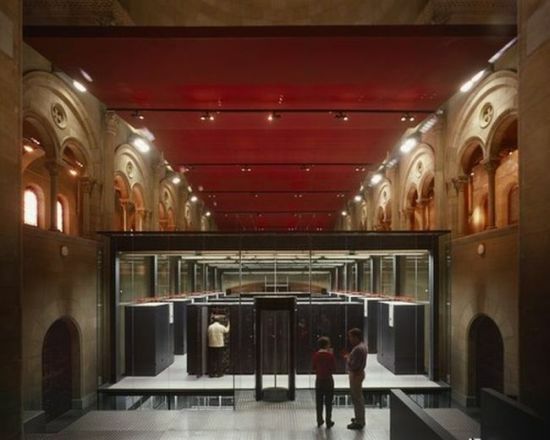 MareNostrum is the most powerful supercomputer in Europe and while Europe does not cover the world, it is the only one where you will find a church. 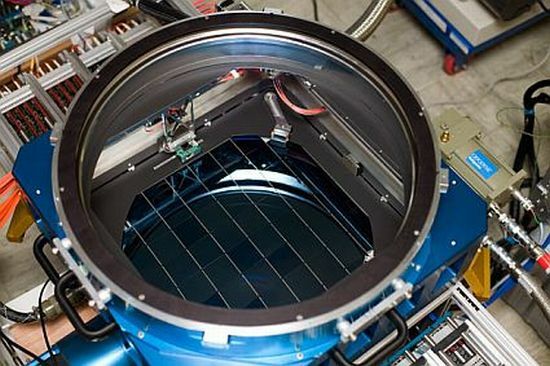 The supercomputer consists of 2560 JS21 blade computing nodes, each with 2 dual-core IBM 64-bit PowerPC 970MP processors running at 2.3 GHz for 10240 CPUs. All this in a chapel, and the ironic part: it is used for human genome research!